Modern travel and military operations have led to a significant increase in the need to provide medical care in extreme climates. Presently, there are few data on what happens to the doctor, their drugs and equipment when exposed to these extremes. A review was undertaken to find out the effects of ‘extreme heat or cold’ on anaesthesia and critical care; in addition, subject matter experts were contacted directly. Both extreme heat and extreme cold can cause a marked physiological response in a critically ill patient and the doctor treating these patients may also suffer a decrement in both physical and mental functioning. Equipment can malfunction when exposed to extremes of temperature and should ideally be stored and operated in a climatically controlled environment. Many drugs have a narrow range of temperatures in which they remain useable though some have been shown to remain effective if exposed to extremes of temperature for a short period of time. All personnel embarking on an expedition to an extreme temperature zone should be of sufficient physical robustness and ideally should have a period of acclimatisation which may help mitigate against some of the physiological effects of exposure to extreme heat or extreme cold. Expedition planners should aim to provide climatic control for drugs and equipment and should have logistical plans for replenishment of drugs and medical evacuation of casualties. Doctors providing medical cover to expeditions into areas of extreme temperature face unique clinical and logistical challenges. Physiology may be markedly disrupted by hypothermia or hyperthermia and this may impact upon management of a critically ill or injured patient. Expedition doctors may also find their own physical and mental functioning impaired by the extreme temperature. Medical equipment may malfunction at extreme temperatures and battery life may be shortened or efficiency degraded. Some medicines may be affected by exposure to a temperature outwith the recommended storage and usage temperature ranges. The increasingly expeditionary nature of modern society has led to medical personnel from both military and civilian backgrounds being called upon to work in increasingly austere environments. It is now commonplace for medical facilities to accompany military operations, including those in the initial entry phase, and also civilian expeditions. When extremes of climate are predictable, it is common practice to provide climatic control in established medical facilities.1 However, accompanying medical personnel must also be prepared to provide life or limb-saving surgical and medical treatment during the initial entry phase of any expedition where such facilities are not yet constructed. With temperatures of less than −50°C recorded during expeditions in Antarctica2 ,3 and more than +50°C in Death Valley in the USA,4 it is vital that civilian or military doctors wishing to provide medical support to expeditions understand how extremes of climate can affect their patients, equipment, drugs and themselves. This review brings together the available evidence regarding the physiological impact of extreme heat and cold upon critically ill or injured patients and also the impact upon medical personnel. In addition, it collates data regarding the effect that extremes of temperature can have upon medical equipment and drugs that are commonly used in the management of such patients. Presently this is lacking in many respects and there is a clear need for further research. It should also be remembered that such expeditions can occur at altitude, but a discussion of the effects of extreme altitude is beyond the scope of this article. A literature review was conducted on PubMed and Google Scholar using combinations and alternative spellings of the terms ‘extreme heat’, ‘extreme cold’, ‘anaesthesia’ and ‘critical care’. 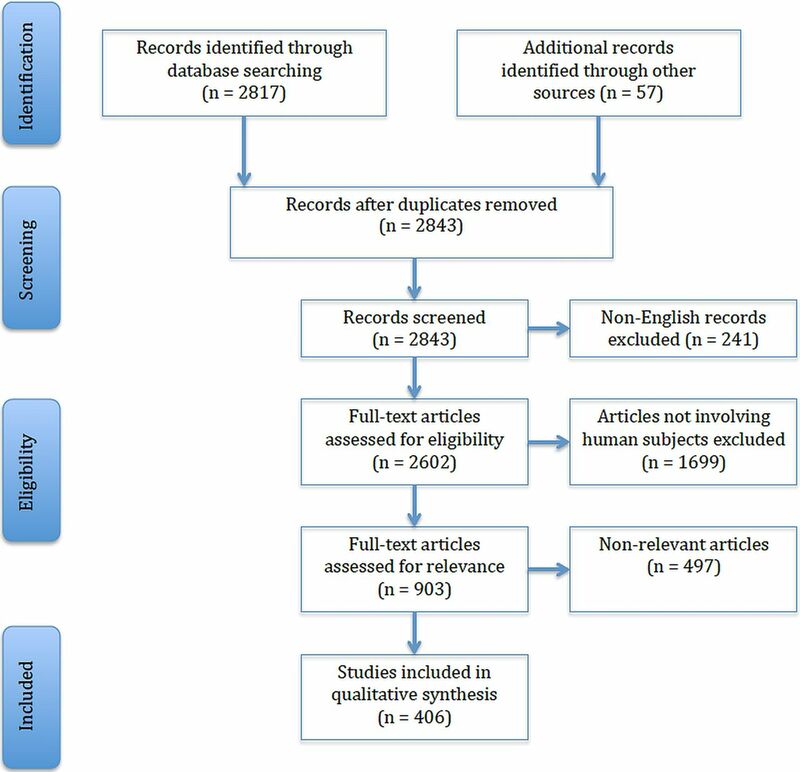 Search results were narrowed by relevance and limited to articles written in English, and the reference sections of review articles were then searched for relevant articles. Subject matter experts and pharmaceutical and medical product companies were contacted for unpublished data. The majority of the articles which were analysed did not define ‘extreme heat’ or ‘extreme cold’ and we therefore opted to include all articles relating either to extremes of temperature sufficient to bring about altered physiology relating to hypothermia or hyperthermia, or sufficient to cause an increase in mortality on a population scale. We also included trials in which equipment and drugs were exposed to temperatures outwith the manufacturer recommended usage and storage ranges. Figure 1 demonstrates the identification and screening process for article inclusion. While the physiological impact of hypothermia is well known,5 we are less accustomed to caring for patients in uncontrolled climatic environments. This unique challenge requires a keen understanding of the physiological impact of extreme cold upon the patient and on the doctors themselves. The combination of pre-existing hypothermia, loss of thermoregulatory control due to anaesthetic drugs and cool ambient temperature could lead to a rapid onset of cardiovascular compromise in a surgical or critical care patient and as such close monitoring is required. An individual acclimatises to cold conditions in 2 weeks after which the physiological responses to cold are attenuated and the cold environment is considered subjectively less stressful to the individual. Acclimatisation can be insulative (increased subcutaneous fat deposits and skin vasoconstriction), hypothermic (decreased core body temperature) and metabolic (increased energy consumption). Behavioural adaptation is most effective, and in urban environments, behavioural adaptation in winter can be so effective that physiological adaptation does not occur. The hypermetabolic state of hypothermic patients leads to increased oxygen consumption. This decreases the time to desaturation during periods of apnoea. Acclimatised subjects may demonstrate a greater degree of physiological stability under anaesthetic in those subjects who are new to the cold environment, although this remains untested. Impairment of short-term memory was reported even after brief cold exposures and some research has reported decrement in memory recall.40 Coleshaw et al49 demonstrated that test subjects could only recall 70% of facts learnt when body temperature was reduced to levels below 34–35°C. Compounding the decrement in mental capacity, many authors believe that cold exposure also has a deleterious effect upon mood. Experimental data to support this hypothesis are scant; however, there are numerous published reports of increases in depressive symptoms during the winter months in personnel on polar expeditions and based in Antarctic research stations,38–39 50–52 known as the ‘winter-over syndrome’. Without clear experimental data, it is difficult to elucidate to what degree these symptoms are related purely to cold exposure as it is highly likely that disruption to circadian rhythms due to continuous darkness has an impact. Rauch and Lieberman53 demonstrated behavioural depression in rats that were exposed to hypothermic conditions and postulated that this was due to a reduction in brain norepinephrine levels. The variability in study design, duration of exposure, type of clothing and measures of temperature make it difficult to discern the precise nature of the cognitive impairment which is experienced by subjects who are required to work in extreme cold. Similarly, few studies have looked at acclimatisation to cold and performance markers. As is the case in any harsh environment, working in extreme cold requires increased vigilance and attention to detail on the part of a doctor. The available evidence leads us to conclude that an expedition doctor would be likely to find reasoning, decision making and complex tasks significantly more difficult in the extreme cold. Where possible, checklists should be employed and medical staff should try to work in teams to decrease the likelihood of clinical errors. Medical staff should also be rotated at regular intervals to allow for sufficient rest and rewarming, and all staff should be warned to be alert to the possibility of mental decrement in their colleagues at low temperatures. The maintenance of a normal body temperature for both patient and doctor should be prioritised to mitigate against the deleterious effects of extreme cold. Transfer of the patient to a climate controlled medical facility should occur as soon as is practicable to reduce further heat loss. The last two Gulf Wars and the campaigns in Afghanistan have provided a wealth of experience in the care of critically ill or injured patients in extreme heat. Over this period of time, there has also been an increase in the number of medical facilities provided by non-governmental organisations in war-torn or drought-starved areas. Patients with a critical illness or injury who are being managed in an extremely hot environment are under a unique physiological demand. The stresses placed upon the doctor and other medical personnel are also severe. As the temperature increases, the autonomic nervous system via the hypothalamus causes a peripheral vasodilation in an attempt to lose heat.54 This may lead to translocation of the blood to the periphery and a drop in mean arterial pressure. Heat stroke sufferers have been noted to have raised levels of nitric oxide which may contribute to this effect.55 The addition of an anaesthetic agent will compound the situation and may lead to profound hypotension. Performance in extreme heat has been studied in great depth, particularly by military researchers. The influence of climate on psychomotor skills and physical performance was assessed by Mackworth64 at the Cambridge Psychological Unit in 1950. He assessed the ability of unacclimatised service personnel to perform three tasks at different climates. The tests were a simple manual dexterity test, a task requiring concentration and physical effort (pursuitmeter test) and finally a mental task of receiving wireless telegraphy messages in Morse code. During the test, the personnel were subjected to a range of dry bulb and wet bulb temperatures (85–105°F and 75–95°F, respectively) in an air movement speed of 100 ft/min. Climate made no difference to the performance of the manual dexterity test; in the pursuitmeter test, severe decrement occurred in temperatures exceeding dry bulb 95°F and wet bulb 85°F. In the wireless telegraphy test, there was a statistically significant decrease in performance in climates hotter than 95°F dry bulb and 85°F wet bulb. Mackworth's study also demonstrated that those of greatest competence suffered less detriment at extreme temperatures. When planning an expedition to an area of extreme heat, the medical team should be as experienced as possible. If novice expedition doctors are forming a part of the medical team, they should be supervised by a more experienced member of staff. A decrease in clinical abilities is predictable at high temperatures and if possible a wet and dry bulb thermometer should be included in the medical kit to monitor the working environment. When temperatures are in excess of 95°F (35°C) dry bulb, staff should be reminded to optimise their hydration and high-risk activities which might lead to an increased likelihood of casualties should be minimised where possible. A period of acclimatisation prior to the expedition may lead to improved concentration and situational awareness and could potentially result in fewer clinical errors. Medical equipment carried by expeditionary medical teams is highly variable and each team must be aware of the safe operating temperatures of their own equipment. When planning to provide medical care in an austere environment, it is vital to provide temperature monitoring for drugs and equipment at all times, and this must be regularly audited. The majority of medical equipment has not been tested to the extremes of temperature and therefore the safe operating or storage temperature range supplied by the manufacturer may be quite narrow. Table 1 provides examples of the operating and storage temperatures quoted in the operating manuals of equipment used by British military medical teams. In general, most equipment will continue to function when exposed to extreme temperatures for a short period of time. Even if the equipment continues to function the screens may not, as they will often shut down as a protective measure when they get hot, and crystals in the screen can freeze and burst at low temperatures. The emission spectrum of LEDs is affected by temperature, but this has been found to not have any clinical relevance. Prolonged or repeated exposures to thermal stress will lead to rapid degradation of electronic equipment. In addition, a rapid increase in the temperature of a piece of equipment (eg, when being carried from an extremely cold environment into a climatically controlled one) can lead to internal condensation and disruption of circuitry. Batteries function most efficiently with optimal service life if used at room temperature (20°C); however, an increase in temperature will improve a battery's performance for a short period of time due to a lowering of the internal resistance and speeding up of chemical metabolism. This improved performance comes at the cost of a decrease in the working life of the battery and so users should avoid exposing batteries to high temperatures for prolonged periods. Cold temperatures lead to increased internal resistance and a diminished performance. Batteries that would provide 100% capacity at 27°C will typically deliver only 50% capacity at −18°C and at −20°C most nickel, lead or lithium-based batteries will stop functioning. Most field anaesthetic machines employ a draw-over vaporiser fitted with temperature compensation mechanisms. These are only effective to a certain degree and at extremes of temperature the output of such vaporisers will be highly variable. This should be taken into consideration if inhalational anaesthesia is required. In extreme cold environments, it may be that the whole vaporiser needs to warmed up prior to use (eg, in a water bath). It should also be remembered that in the tropics the filling ratio of vapour cylinders is lower, therefore they may contain less than expected. Disposable medical apparatus which is formed from poly-vinyl chloride such as endotracheal tubes, oxygen face masks and tubing may become exceedingly malleable at extremely high temperatures leading to a risk of kinking or may become brittle at extremely low temperatures. Failure to follow storage recommendations of pharmaceutical products could potentially result in therapeutic failure. However, it may be extremely difficult to avoid exposing drugs to some degree of thermal stress when transporting them to a medical centre located in an austere environment. Prolonged storage of drugs at high or low temperatures risks denaturation of proteins and alterations in product characteristics. It is therefore advisable when working in an extreme environment to preferentially stock drugs which are stable at a wide range of temperatures, for example, atropine and lidocaine (stable between −20 and +70°C66) rather than those which must be kept within a narrow thermal range. If such drugs are to be carried they will generally be stored in a temperature controlled unit, and as such should be unaffected by changes in the ambient temperature. For drugs which recommend storage at a temperature lower than 30°C, it has been demonstrated that temperature stress of limited duration does not lead to deterioration in the drug.66–68 Therefore, such drugs should be safe to transport to extreme climates and should remain stable until climatic control is attainable. If medications are exposed to extreme heat or cold, it is recommended to replace drugs if possible. Certain drug delivery systems (suppositories, creams, etc) are more sensitive to rises in temperature and it is wise to avoid stocking these if possible. Any drug that contains proteins (eg, insulin) or emulsions will be destroyed by freezing. Gelatin-based fluids with a high molecular weight have a tendency to gel and solidify if stored at lower temperatures. Modern succinylated or urea-crosslinked gelatins have a lower gel melting point and are therefore less prone to this effect. Küpper et al67 consolidated the available data on the safety of drugs following heat and cold stress in 2006 providing a valuable reference for expedition medical teams. The pertinent findings are summarised in Table 2. It should be remembered that expiration dates are based upon studies of degradation within the recommended storage temperature range and may be shortened if a drug has been exposed to a temperature outwith this range. There are many considerations when planning the care of patients in extremes of temperature. This is a highly specialised area of medicine that is rapidly evolving, and equipment is being continually developed and improved to aid the management of patients in austere environments. When planning a military or civilian expedition, difficulties should be anticipated and prepared for and where possible climatic control should be sought early. Appropriate clothing and storage facilities for drugs and equipment must be available, particularly during the entry and exit phase of an expedition. Logistical difficulties may limit restocking of equipment or drugs and sufficient contingency should be available. The local region must be thoroughly researched prior to departure with a focus on climate, terrain, geography, hazards, available medical facilities and common local pathologies. All expedition personnel must be of sufficient physical robustness and should be given a medical briefing. There is a great deal of individual variation in the response to extreme cold or heat. Doctors must do what they can to avoid exposing themselves and their patients to these extremes but must be prepared to mitigate the effects when it cannot be avoided. Unfortunately, there is no clear-cut dose–response relationship between temperature and cognitive function or with duration of exposure. This ambiguity may leave medical planners frustrated. We would advise that if at all possible, the medical team for expeditions should be sufficiently manned to allow for frequent rests and rewarming/cooling of personnel. This would also help mitigate against lapses in concentration and hopefully reduce the incidence of clinical errors. Additionally, close monitoring for signs of depression should be undertaken in any personnel deploying to an extremely cold environment for a prolonged period of time—particularly if deploying over the winter months. If possible, a period of acclimatisation should be undertaken prior to departure for all team members. Many clinical challenges may be faced by medical personnel caring for patients in extremes of climate. These include but are not limited to: alterations in baseline physiology, altered response to pathological insult and medical intervention, alterations in the functioning characteristics of medical equipment and increased attrition rate of equipment and drugs. Successful expeditionary medical care requires resourcefulness, preparedness and at all times close communications with base medical support.
. Critical care in the austere environment: providing exceptional care in unusual places. Crit Care Med 2008;36:S284–92. http://www.weatherbase.com/weather/weather.php3?s=90098&refer=&units=me tric (accessed Sep 2013).
. How hot is Death Valley? Geogr Rev 1949;39:214–20.
. Pathophysiology of accidental hypothermia. QJM 2002;95:775–85.
. Physiology and pharmacology of hypothermia. West J Med 1983;138:227.
. Hemodynamic characteristics of patients with hypothermia due to occult infection and other causes. Ann Intern Med 1985;102:153–7.
. Human responses to cold. Alaska Med 2007;49(2 Suppl):29–31.
. Effects of dopamine on porcine myocardial action potentials and contractions at 37 degrees C and 32 degrees C. Acta Anaesthesiol Scand 2001;45:421–6.
. Electrocardiographic features of hypothermia. Cardiology 2005;103:118–19.
. Thermoregulation, mild perioperative hypothermia and post-anaesthetic shivering. Br J Anaesth 2000;84:615–28.
. Thermoregulatory responses to hyperthermia during isoflurane anesthesia in humans. J Appl Physiol 1993;74:82–7.
. Metabolic requirements of shivering humans. Front Biosci (Schol Ed) 2010;2:1155–68.
. Propofol linearly reduces the vasoconstriction and shivering thresholds. Anesthesiol 1995;82:1169–80.
. Desflurane slightly increases the sweating threshold but produces marked, nonlinear decreases in the vasoconstriction and shivering thresholds. Anesthesiol 1995;83:1205–11.
. Isoflurane field anaesthesia at extreme temperatures. Anaesthesia 1991;46:1000.
. Racial variations to a standardized cold stress. J Appl Physiol 1958;12:9–12.
. Changes in summer temperature and heat-related mortality since 1971 in North Carolina, South Finland, and Southeast England. Environ Res 2003;91:1–7.
. Cardiovascular and renal responses to acute cold exposure in water-loaded man. Scand J Clin Lab Invest 1975;35:311–17.
. Accidental hypothermia. N Engl J Med 1994;331:1756–60.
. Coagulation defects resulting from ambient temperature-induced hypothermia. J Trauma Acute Care Surg 1994;36:634.
. Hypothermia-induced coagulopathy during hemorrhagic shock. Am Surg 2000;66:348–54.
. The cellular, metabolic, and systemic consequences of aggressive fluid resuscitation strategies. Shock 2006;26:115–21.
. The Influence of temperature on mucociliary activity temperature range 20°C–40°C. Acta Oto-laryngologica 1974;74:444–50.
. Ventilatory and metabolic responses to cold and hypoxia in intact and carotid body-denervated rats. J Appl Physiol 1992;73:847–54.
. Sevoflurane output from the Oxford Miniature Vaporizer in drawover mode. Anaesth Intensive Care 2000;28:532–6.
. The effects of shivering on oxygen consumption and carbon dioxide production in patients rewarming from hypothermic cardiopulmonary bypass. Can J Anaesth 1988;35:332–7.
. The influence of temperature and pH on the dissociation curve of oxyhemoglobin of human blood. Scan J Clin Lab Invest 1965;17:515–23.
. End-points of resuscitation how much is enough? Curr Opin Anaesthesiol 2000;13:147–53.
. The effect of temperature on intestinal motility. Surgery 1959;46:873–9.
. The effect of cold on nerve conduction of human slow and fast nerve fibers. Neurology 1973;23:1182.
. The effects of extreme cold on sensory nerves. Ann R Coll Surg Engl 1980;62:180–7.
. The effect of repeated mild cold water immersions on the adaptation of the vasomotor responses. Int J Biometeorol 2012;56:631–7.
. The trainability and contralateral response of cold-induced vasodilatation in the fingers following repeated cold exposure. Eur J Appl Physiol 2008;104:193–9.
. Cold-induced vasodilatation in the foot is not homogenous or trainable over repeated cold exposure. Eur J Appl Physiol 2007;102:73–8.
. Enhancement of the finger cold-induced vasodilation response with exercise training. Eur J Appl Physiol 2010;109:133–40.
. Effect of task complexity on mental performance during immersion hypothermia. Aviat Space Environ Med 1993;64(3 Pt 1):206–11.
. Psychological observations on an isolated group in Antarctica. B J Psych 1963;109:364–70.
. Some psychological aspects of isolated Antarctic living. Am J Psych 1960;117:323–5.
. Effects of brief Antarctic isolation on absorption and hypnotic susceptibility–preliminary results and recommendations: a brief communication. Int J Clin Exp Hypn 1983;31:235–8.
. Impairment in cognitive and exercise performance during prolonged antarctic residence: effect of thyroxine supplementation in the polar triiodothyronine syndrome. J Clin Endocrinol Metab 2001;86:110–16.
. How to measure human adaptation in extreme environments: the case of Antarctic wintering-over. Aviat Space Environ Med 1997;68:1144–9.
. Monitoring cognitive performance in Antarctica. New Zealand Antarctic Record 1978;13:24–32.
. Norwegian military field exercises in the arctic: cognitive and physical performance. Arctic Med Res 1991;50(Suppl 6):132–6.
. Cognitive efficiency of divers working in cold water. Hum Factors 1975;17:446–54.
. Diver performance in cold water. Hum Factors 1970;12:391–9.
. Effects of moderate cold on performance of psychomotor and cognitive tasks. Ergonomics 1987;30:1431–45.
. Cold-induced impairment of delayed matching in rats. Behav Neural Biol 1991;55:19–30.
. Impaired memory registration and speed of reasoning caused by low body temperature. J Appl Physiol 1983;55:27–31.
. Emotional symptoms in extremely isolated groups. Arch Gen Psych 1963;9:362–8.
. Mental health problems in Antarctica. Arch Environ Health 1968;17:558–64.
. Personality characteristics, mood, and coping patterns in a successful north pole expedition team. J Res Pers 1989;23:162–79.
. Tyrosine pretreatment reverses hypothermia-induced behavioural depression. Brain Res Bull 1990;24:147–50.
. In vivo mechanisms of cutaneous vasodilation and vasoconstriction in humans during thermoregulatory challenges. J Appl Physiol 2006;100:1709–18.
. Nitric oxide production is enhanced in patients with heat stroke. Intensive Care Med 1999;25:58–62.
. Electrocardiographic abnormalities in patients with heat stroke. Chest 1993;104:411–14.
. Heat stroke: implications for critical care and anaesthesia. Br J Anaesth 2002;88:700–7.
. On the trail of potassium in heat injury. Wilderness Environ Med 1997;8:105–10.
. Iraq: the environmental challenge to HM land forces. Clin Med 2008;8:399–403.
. Temperature dependence of the potency of volatile general anesthetics: implications for in vitro experiments. Anesthesiology 1996;84:716–20.
. Body temperature and anaesthesia. Br J Anaesth 1990;64:346–54.
. Near-fatal heat stroke during the 1995 heat wave in Chicago. Ann Intern Med 1998;129:173–81.
. The pathophysiology of exertional heatstroke. J R Nav Med Serv 2004;90:135–8.
. Researches on the measurement of human performance. Med Res Council Spec Rep Ser No 268 1950:156.
. Heat stress limits for the sedentary worker. AIHA J 1975;36:259–65.
. Effect of extreme temperatures on drugs for prehospital ACLS. Am J Emerg Med 1993;11:450–2.
. Drugs and drug administration in extreme environments. J Travel Med 2006;13:35–47.
. Stability of essential drugs during shipment to the tropics. BMJ 1992;304:210–12. Contributors Both of the authors were involved in the planning and execution of the article and the lead author (EMH) takes responsibility for the overall content. Disclaimer While every effort has been taken to present data that have been carefully researched, the reader is advised that any use of drugs or equipment stored or used outside their stated temperature range would be out of license and no claim is made as to the accuracy of the reported effects.